I recently took a course from a friend of mine who has an event planning business. About 40% of my work involves planning small scale events such as talent shows, holiday parties and the other 60% of my time is focused on creating experiences for older adults who come to the community center I work in. Creating a positive experience is the goal of any event whether it’s a party, conference, show or workshop. Additionally, my friend is an excellent teacher and is well established in her field. So, I registered for her online course: Goal setting for the Enlightened Creative. During the workshop she encourages her students to get out of their comfort zones and find new ways to grow professionally. I decided to give it a try. I had been thinking about starting a drum circle in the senior center where I am the director. Initially I felt uncomfortable about organizing this sort of activity. It was certainly out of my comfort zone. Here’s why. When I thought of drum circles I envisioned young (under 30) bohemian types --or hippies-- engaged in rhythmic and frenetic drumming and dancing. Never mind that the original hippies are rapidly becoming my customers. Never mind that drum circles exist in a variety of senior programs around the country. Never mind that Cheryl Wheeler (the 2019 SRG chair) suggested it as a workshop for last year’s conference and our Board Liaison Jane Shelhorse knew someone who lead drum circle! I still wasn’t convinced. I wasn’t convinced that a drum circle would garner any interest from the participants that came to the Lee Senior Center. I didn’t see them as the sort of people who would enjoy being in a drum circle. But that bias rapidly dispatched at the VRPS 2018 conference in Henrico. I was sitting in one of the rooms learning about a great neighborhood revitalization project in Danville, VA. In the room next to us was a session on an improv fest for teens in Loudon County. They were very noisy and they were having lots of fun! The adults in the room were having lots of fun. Making noise is quite fun. The little lights started twinkling in my brain; maybe a drum circle would work. I approached a gentleman who loves music and had been trying to get his own band going. However, I wasn’t completely sure, if he would be interested. Nonetheless I asked him if he would think about starting a drum circle program. We talked about it and even got a small focus group together to help develop the program. I am happy to report that it’s working out well. The participants who attend are having a great time. The volunteer dance instructors send some their rhythm challenged dancers to the drumming session for extra help and the drum circle leader has even been asked to talk to other groups about the benefits of drumming. This program hasn’t even been officially promoted and it continues to grow. It’s exciting! This small foray out of my comfort zone affirmed several things. The first is that being part of VRPS and SRG is pivotal to my career and personal development. The second is nothing is more constricting to your career than self- doubt. For example, after many months of hesitation, I took the CPRP test and passed! I muscled past the self-doubt. The third benefit is that looking to other industries sparks innovation on an individual and general level. Because when your day to day tasks are geared to producing positive experiences for the community, do not put limits on your creativity. I am certain we all agree that 99% of our work is involved in developing programs that bring people together. Something we all know is that quality of life is vastly improved when a person has the support of others, friends and professional providers. That’s why we read, brainstorm, attend conferences and network with each other -- to foster social connectedness for our customers. Social isolation and its effects on older adults has captured the attention of researchers and some advocacy groups. The most recent issue of The Gerontological Society of America’s Public Policy & Aging Report focuses on that topic. Loneliness increases the potential for health risks. To address this issue, AARP created Connect2Affect. This initiative draws on the research on social connectedness to create solutions and programs to address this public health issue. If you work in an urban or suburban setting there are challenges to supporting social connectedness. Transportation, language and disability are some of the barriers that still keep older adults from socializing with others. For older adults living in rural areas the risks increase. That is why we need to connect and learn from our Senior Resource Group colleagues who work in the rural parts of our state. Their creativity, passion and inventiveness is inspiring. Meet Teresa Funkhouser. She is the Senior Services Program Supervisor for the Department of Parks and Recreation in Shenandoah County. One of her primary responsibilities is managing the Active Adult Fellowship meetings, trips and programs for the active adult crowd. Building community, bringing people together through a common interest is pivotal to combatting social isolation in older adult. Held throughout Shenandoah County, these events vary. Sometimes they include a museum tour, other meetings might involve a community service project. Often members lead presentations on trips, hobbies or topics of general interest. Teresa has been a member of the Senior Resource Group and Virginia Parks and Recreation Society for nine years. 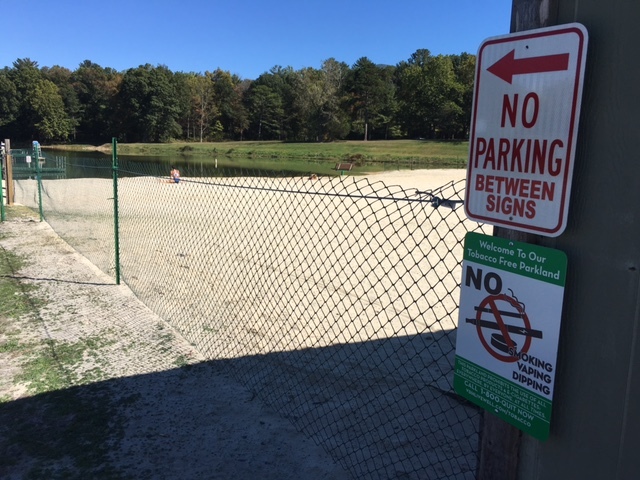 Prior to working for Shenandoah County Parks and Rec, Teresa was a license insurance agent and customer service representative. Developing recreation programs for older adults is her encore career. “I have always loved the older generations and feel we can learn so much from them. 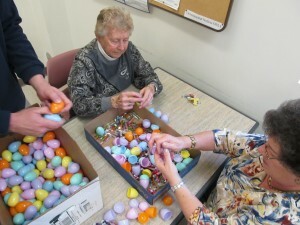 I get great joy seeing them having a good time at our programs” Teresa tells me. Her population is most likely going to change in the next several years. Demographic trends are showing that older adults and retirees tend to move to areas that offer a lower cost of living and beautiful scenery. These retirees are often active and engaged in their communities. If they move to Shenandoah Valley, they should contact Teresa for additional information. Meeting and working with Teresa has been an honor. Her passion for working with older adults is palpable. How do you build community? We’d like to know. It is a new year, time to reflect on past accomplishments and plan new goals for our careers. For many of us, this may be the year to reach outside of our comfort zone, do something that is not our typical behavior. In 2014, I took the step and set off to develop my leadership skills with my peers. Sure, I was attending yearly conferences and keeping up with CEU’s but the thought of spending a couple of days on top of a mountain with people I did not know was pretty much, a little intimidating. I can remember thinking; my career is going pretty good, I achieved the ultimate opportunity of directing an aquatic facility from the bottom up, could there really be anymore? Boy, was there more! It was time to attend a leadership training like no other. 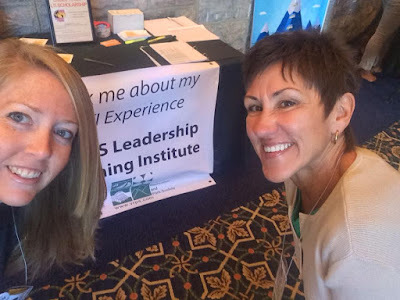 That spring, up high on a mountain top, I attended LTI. Needless to say what I thought was going to be a couple of days in a typical recreation setting became the emotional trigger I needed to remind myself why I was in the field. Witnessing first-hand 60 professionals just like myself stepping outside their comfort zone to earn their leadership credentials was amazing. From team building to more team building, to connecting with some of the best leadership speakers, I was in! What was happening? Not only did I want to be part of the team, I was amazed how easy it was. Everyone was happy, rejuvenated and a TEAM, so unbelievable that explaining would never do the program justice. We became one, a group of individuals seeking out the passion that was deep inside. For a short time we shut out the stress of our daily routines to seek the next level within. No negative thoughts, just time to build ourselves into the best possible leader in our field. Could it be possible that the serenity of those two days surrounded by the beauty of nature would rejuvenate my career and give spark to the internal flame of Parks and Recreation? After all, this was my passion! You bet it did! Immediately, I knew the next goal was to serve on the LTI committee. While serving the past four years, I have witnessed your LTI committee continue to reach far beyond to bring you the best recreational leadership training possible. The serenity on top of Wintergreen Mountain is likely impossible to replace and the camaraderie of the team will fuel your energy to be the best that you can be, not only in your field but during this short time we have been given to “live”! 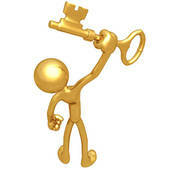 Take the LTI opportunity now, it is time…you will not be disappointed! without a care, who greet and hug me as if was a teddy bear. people who greet you, and actually happy that you are there. How are you, where have you been, glad you are better, and welcome back my friend. and through the doors come so many good people. it is they need today. Weights clatter, and the users fill the weight room with gleeful chatter, and some gather just to hear the silly things that Seymour will say. down or go in there to play. in the middle of the floor. And our pool player’s men and women all pair up to play, and that’s where they spend most of their day. In their own time, and in their own way these adults have become children again as they laugh and play. And I just do my best to be helpful and to stay out of their way. In 2010 my supervisor encouraged me to attend LTI. I decided to attend and loved every minute of my time on the mountain. I met many new people in our field and was able to learn many different team building skills and different ways to lead. I had so much fun I attended again in 2012 and then decided I would like to serve on the committee. I was accepted as a member of the planning committee and have been involved in the 2014, 2016 and now the 2018 institute. I have served as secretary and co-chair during my time on the committee. During my time on the committee I was promoted twice at work. If you have ever wondered if attending LTI would help you have better chances at promotions, I feel I am an example that it can. LTI is a great opportunity to meet new people and learn about yourself and your style of leading. If you are debating attending the 2018 institute, I highly recommend it. In the middle of fall foliage tours, pumpkins festivals and other programs that keep our constituents busy, we take time to improve our skills and learn as much as we can. That’s how we live inspired and focused as empowered professionals. So on a sunny September day in Reston, VA, the VRPS Senior Resource Group hosted recreation professionals from across the state to learn from experts in the fields of aging and recreation. Our mission for the day was to provide information and tools that would empower our colleagues in their day to day responsibilities and in their careers. VRPS 2017 President LaTanya Turner opened the conference by talking about her experiences working with older adults. Like many of us, she admired their accomplishments, experiences and was inspired by their stories. The keynote speech, delivered by Lynn A. Reid and several members of her team, profiled the incredible gains and findings of the Loudoun County Area Agency on Aging especially in the area of recruiting and retaining high quality volunteers to work at their various senior centers. In the afternoon, representatives from Loudoun County and the National Council on Aging focused on tools and skills that help improve our programming. Catherine Motivans, Accessibility Services Manager for Loudoun County, tackled the iceberg of cross cultural understanding. With the rapid demographic changes occurring in Loudoun County as the centerpiece of her presentation, Ms. Motivans provided the audience with skills they could apply to build language awareness and serve patrons with limited English abilities. Brandy Bauer and Hayoung Kye demonstrated the various features of the National Council on Aging’s Aging Mastery Program©. Designed to help older adults make the most of their longevity, this tool also provides materials and information that can help each individual to create his or her own playbook. While we work in different jurisdictions there are many workplace factors we all have in common. We all agreed that our populations are becoming more diverse and how we navigate that change will determine the success of our programs. We all have customer service challenges. The three major groups that continue to impact our work are baby boomers, culturally diverse populations and older, more frail seniors. All which makes professional development so important. One source you should check out is the NRPA blog about healthy aging initiatives. We all know someone who is an older adult and we all know how important socializing and recreation are to our communities no matter what age. Lesha Spencer-Brown, who wrote the blog agrees with us: “older adults are the pillars of our communities. We cannot claim to improve community health without factoring in the health of older adults and making them a priority. Many programs and services currently offered for older adults need to be more robust and address multiple factors that affect their health and wellbeing.” This increased awareness is probably a result of two things, the increased numbers of the retirees moving into our areas and the awesome work we all do every day. As the risk of sounding cliché, I do believe that we (recreational professionals who work with older adults) are turning a corner. One way to continue the progress is to keep the conversation going. What recommendations would you give to the decision makers in your agency for healthy aging initiatives that can be implemented in your agency today or in the near future? 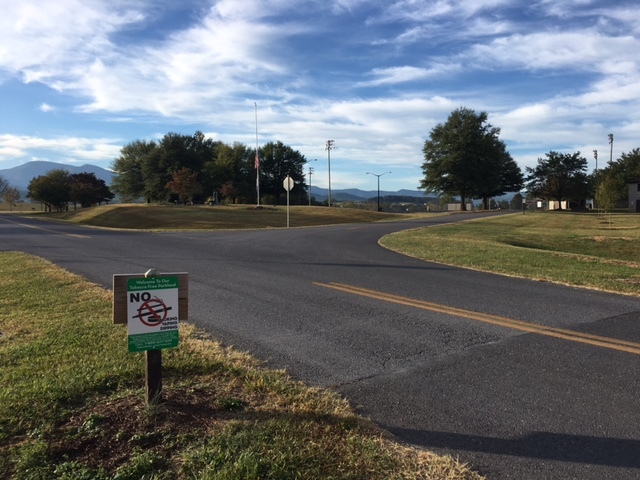 The Virginia Department of Health's Tobacco Use Control Program implemented a "Welcome to Our Tobacco Free Parkland " initiative in 2016, which includes signage sponsored by VDH. 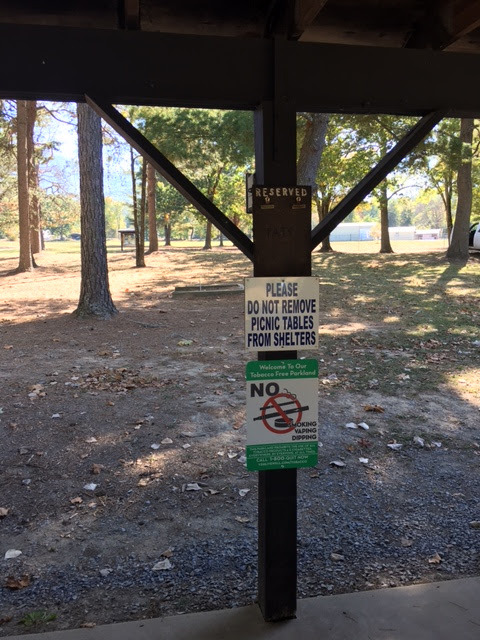 Town of Luray has posted 8 signs in total, including in Lake Arrowhead and Ralph Dean Park locations. VRPS is a private, non-profit professional organization, founded in 1953 and incorporated in 1956. 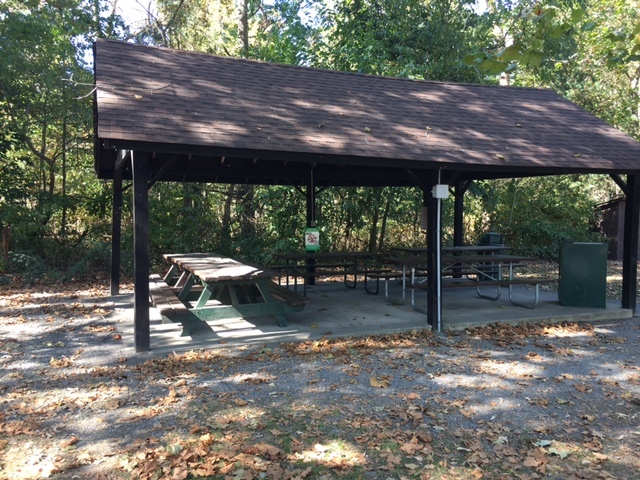 Its purpose is to unite all professionals, students, and interested lay persons engaged in the field of recreation, parks and other leisure services in the Commonwealth of Virginia, into one body. VRPS is an affiliate of the National Recreation and Park Association. VRPS is a private, non-profit professional organization, founded in 1953 and incorporated in 1956.. Awesome Inc. theme. Powered by Blogger.